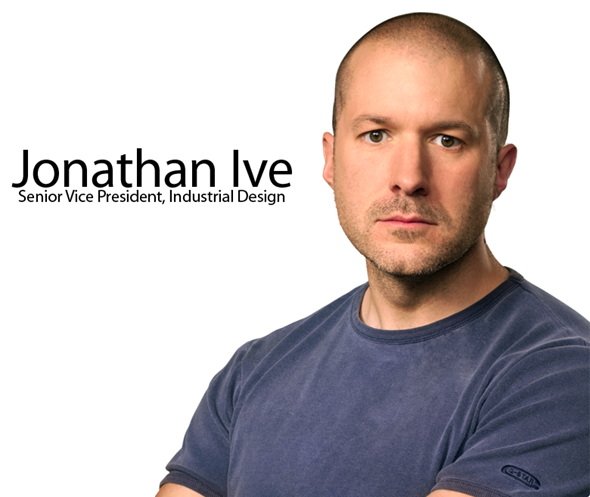 Step forward Sir Jonathan Ive. That is how Apple’s head of design will now be able to officially introduce himself after being made a knight commander of the British empire in the new years honours list. Jonathan is famous around the world as the man who led the design teams who came up with the aesthetics and form factor behind the iMac, Powerbook G4, G4 Cube, MacBook, unibody MacBook Pro, MacBook Air, iPod, iPhone and the iPad. The fame and praise he has gained around the world has obviously not gone unnoticed by the powers that be, however, what does the worldwide community really know about the British designer who has been a part of the fruit company since 1992? Jonathan Ives was born in London in 1967 and was raised by his father who was a teacher. From an early age he knew he had an interest in drawing and designing things but had no idea what his future would hold. After leaving Walton High School he attended The University of Northumbria where he graduated from a course in Industrial Design. I am actually a graduate of that University myself, and know from being there that the design school is extremely proud of their former student with his name still being adorned throughout the corridors. After graduating from University, he began his working career as a commercial designer before founding his own design agency called ‘Tangerine’. One of the agencies clients happened to be Apple Inc. who were so impressed with his work on one of their projects that they offered him a full time role in 1992. After initial dismay with the company due to the decline in the early 1990s, Mr. Ives felt at home when the original founder Steve Jobs returned to turn around the fortunes of the ailing company. After nineteen years with the company, Jonathan Ive has built up a relationship that you don’t often see in this day and age marrying together an artistic vision and ambition with never ending loyalty. His relationship with Steve Jobs has obviously been a huge factor in his, and the companies massive success, with Mr. Jobs once describing Ives as his spiritual partner. When you have a CEO who is meticulous when it comes to the finer details, and a designer who strives for artistic perfection it is sure to produce industry changing results. I am sure that no one can argue with the results. I am keenly aware that I benefit from a wonderful tradition in the UK of designing and making. I discovered at an early age that all I’ve ever wanted to do is design. Last week we had Steve Jobs being posthumously being awarded a Grammy for his services to the music industry, and now his spiritual partner has been awarded a knighthood. Awards, I am sure everyone will agree are both deserved for the work and achievements that these two industry leaders have achieved over the years.